Do you ever wonder what the future holds? I do. Having spent the last 10 years running an IT services company, one of my many jobs is making sure our products are aligned with the ever-changing forces of technology. Being advanced is excellent, though being on the cutting edge isn’t always great for business. I spend a lot of time thinking about what the IT industry will look like in the future, and here is what I am seeing in my crystal ball. 1. Shift to the cloud continues, with over 75% of the services consumed by small and medium businesses being delivered from the cloud. 2. Mobile devices outnumber non-mobiles 3 to 1. Apple devices proliferate the consumer and SMB spaces, but still haven’t made inroads to enterprises. Devices and software are more stable, and as most applications have shifted to the cloud, the desktop is even less important than it was in 2015. 3. As more companies develop their own software, DevOps has become critical, and permeates companies of all sizes. 4. Hiring great talent is even more difficult than it was in 2016. 5. Internet of Things expands and becomes the norm for new world of interconnected devices. 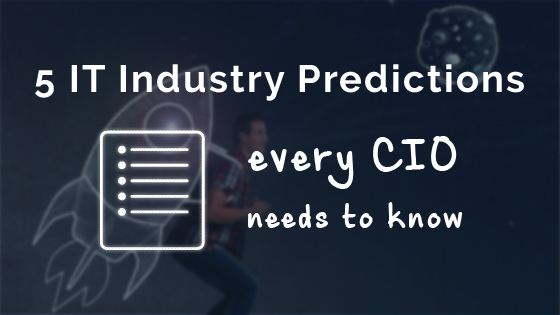 What does all of this mean for CIOs and IT leaders? Shift to the cloud is already under way and we have seen its effects first hand. How many organizations that you know are still running Exchange servers on-premise today? Certainly a fraction of what it was just a few years ago. 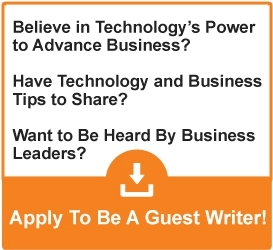 The biggest challenge IT leaders will face in the future is hiring and retaining talent. Most college graduates who are interested in technology become coders. The demand for skilled IT infrastructure engineers will continue to increase, and the federal government won’t step in to relax the H1B quotas, which could help close the gap. This continues to push demand for outsourcing, as IT departments are struggling to find qualified candidates. However, many outsourcers face this same challenge in hiring. What can we, as IT leaders, do in order to be ready for the future? Start transforming your talent today, because this will be a hurdle tomorrow. Put your sys admins through training at places like cloudacademy.com (disclosure: my company is a customer). Work more closely with your developers to understand how their needs are changing IT. Make sure your technologists can cover the full spectrum of technologies your stakeholders demand. Bring in qualified partners to prove out new technologies, and make sure they transfer knowledge to your internal teams before they are done.